Did you know that a flat movie dialogue is one of the Top 7 Deadly Flaws of a Bad Screenplay ? We'll show you how to avoid this flaw and write dialogues like the pros. and get an answer to one of the most asked questions: "How much dialogue do I need in my screenplay?" This rule is about rewiring your brain about when to use dialogues and getting 2 useful practices to write them. and find out how long your dialogue should be. and avoid the shape of a dialogue that shouts: "beginner screenwriter"
Discover the paradox of writing dialogue and get 2 practices to deal with it. It's probably the most critical rule. This rule goes along with rule #7. And if you don't apply it, then like Donnie Brasco would say: Fuggedaboudit. It's about you taking drastic measures with your dialogue and being clear about who your real friends are. Discover one of the deal breakers for the reader with a quiz - and how to avoid it. Apply this rule and get a definite edge in your ability to write dialogues. Discover the ultimate test to know if your dialogues work. What a script! : Some people say writing dialogue cannot be taught, you need an ear for that. I believe anything can be learned. If you are committed to writing great dialogues, are ready to follow the dialogue rules mentioned in this article and practice then you should be able to write a great movie dialogue. And definitely not on the nose. Writing dialogue is a learning process, an act of coordination. It gets easier the more you do. It's okay for the first 60 pages of your first draft to be filled with awkward dialogue. Don't worry about it. The last 60 pages will be smooth and functional. The more you do it, the easier it gets. Then you can go back and smooth out the dialogue in the first part of the screenplay. 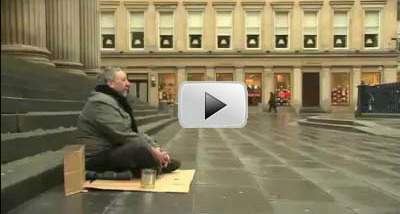 This awesome video shows the importance of finding the "right" words. How should we use these movie dialogue rules? in a linear manner? We start with implementing rule #1, and go on until we reach #13? You probably heard it many times already. Writing a screenplay is about showing - not telling. Why? because a movie is about pictures and a picture says more than 1000 words. You should therefore tell your story as much as possible in pictures rather than in words. Therefore the Golden Rule: Use Movie Dialogue Sparingly. Some screenplays have however lots and lots of dialogues. Think of Woody Allen's scripts. True. "Annie Hall" is a good example of that genre. It's a brilliant script which got many awards including an Oscar. On the other side of the spectrum "The Artist" written and directed by Michel Hazanavicius was completely silent. The screenplay got nominated for the Oscars and the film won 5 Oscars in 2011. Both scripts are however more an exception than the rule. So I say it again, use movie dialogue sparingly. 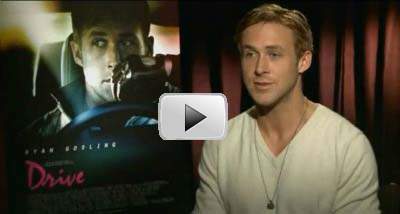 Ryan Gosling confirms this point of view in this interview about the movie "Drive". A good practice is to ask yourself if you can replace a dialogue with a picture. It forces you to think visually and be creative. The famous movie quote "Go ahead, make my day" comes from the movie script "Sudden impact" written by Joseph Stinson. 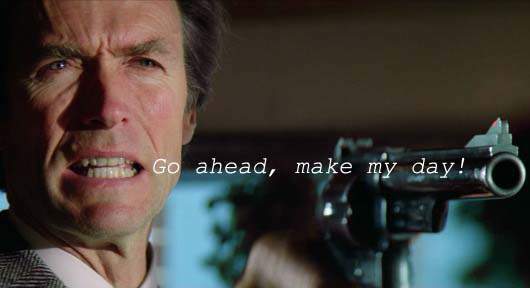 Just before Dirty Harry Callahan says these famous words, he comes in his usual cafe not knowing that the staff and customers are being robbed and silenced. Joseph Stinson could have chosen to have the waitress TELL Harry there was something wrong - although it would have probably been her last words. But that would have been too obvious. Instead he used a PICTURE to say the same thing. When we tell a story in cinema, we should resort to dialogue only when it's impossible to do otherwise. I always try first to tell a story in the cinematic way, through a succession of shots and bits of film in between... To me, one of the cardinal sins for a scriptwriter, when he runs into some difficulty, is to say 'We can cover that by a line of dialogue.' Dialogue should simply be a sound among sounds, just something that comes out of the mouths of people whose eyes tell the story in visual terms. When should you use dialogue? Only when you really need to. Yes. You need to think differently. When you hear the word "dialogue " you usually think "words", lots of them. You need to rewire your brain and think of your movie script as a silent movie. Read your screenplay without the dialogues and check how much of the story you can still understand. This represents the core of your story. Watch this funny scene of The Kid of Charlie Chaplin. Notice how much you understand the story without any dialogue. Notice how "dialogue" or information gets displayed on the screen only when absolutely necessary. Do the same with your own screenplay. Some screenwriters have the practice to first write what's happening in a scene, indicate where there will be some dialogues with xxxxx, and write these dialogues only later. This is an example from a draft of The Bourne Identity written by Tony Gilroy and W. Blake Herron. EXT. HOTEL DE LA PAIX -- COURTYARD -- DAY            THE HOTEL BACK DOOR -- kicked open -- BOURNE coming out of            the house -- coming hard -- and --            The small courtyard is empty -- but now the ALARM is going            off -- and BOURNE turns back to MARIE -- races to grab her            as --            RATATATAT -- The FRONT DOOR -- WINDOWS -- ARE SHREDDED and --            here comes the PROFESSOR. BOURNE                     xxxxxx                                  MARIE                     xxxxxx            And now they are running, across this little courtyard. 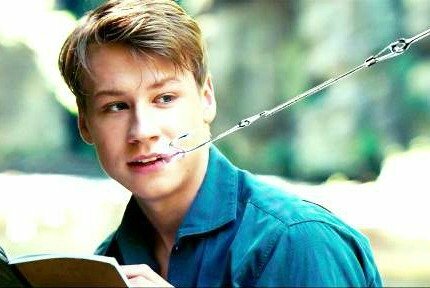 A variation of this practice is to write on the nose movie dialogue first to get the general idea on paper and come back to it later. Blablator unconceals the dialogue rules # 3 to 6 in this article. They deal with the number of words in a dialogue, the shape of dialogue on the page and the intentions that the dialogue must fulfill.